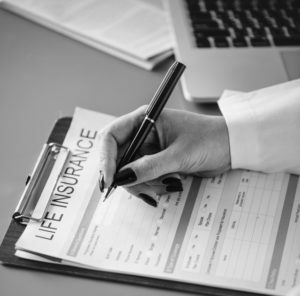 Key person life insurance (KPLI) is a kind of coverage made to protect your small business in case the owner of the company or the top-performing employee has an unexpected death. KPLI is needed when the success of a small business is in the hands of two people. Key person life insurance (KPLI) is a kind of coverage made to protect your small business in case the owner of the company or the top-performing employee has an unexpected death. KPLI is needed when the success of a small business is in the hands of two people. A family-owned restaurant is a perfect example of where this applies. Family-owned organizations are typically small and do not rely on many employees. KPLI would ensure financial stability and protection against untimely death. Keep reading to learn more about key person life insurance. -Your employees would be tough to replace, and they have highly unique skills. -Your Company Goes Public or Merges. Board members and top executives will most likely want to know about your insurance plan before there is a merger or IPO. As it sounds, key person life insurance covers the loss of a top executive or crucial member of your business. If you know that one of your best employees has become terminally ill, you should get coverage right away. The person who buys life insurance becomes not only the policy owner but the beneficiary as well. Insurance is written as a term or permanent policy. This period lasts anywhere between 1-20 years. Coverage will end after “x” amount of years or when the policyholder passes. If the policyholder dies, then the business retains a death benefit or payout. The money is used to find a replacement, take care of debts, or other needs. As far as permanent insurance, it applies to the life of the policyholder. The policyholder may use this insurance as loan collateral that pays to be a death benefit. If the worker retires and coverage is no longer needed, then it’s possible for a transfer of the permanent policy to transfer over. It is also possible for multiple, essential people to share an insurance plan. If this is the case, the coverage is ensured to the remaining individual after one person passes. Malden Solutions has a wealth of expertise in providing employer insurance solutions, HR solutions, and individual insurance solutions to businesses both big and small. Our team of seasoned professionals can help you navigate the rapidly-changing world of insurance with ease. We partner with businesses and individuals throughout the country to provide our dedicated services for employee benefits but also work within our surrounding communities in Maryland, Northern Virginia, and Washington, D.C. Contact us today to learn more about how we can provide effective, dynamic solutions for your business. Stay connected with us on Twitter,Facebook, and Linkedin. This entry was posted on Friday, March 22nd, 2019 at 8:54 am. Both comments and pings are currently closed.